French authorities helicoptered a Slovenian she-bear into the Pyrenees mountains on Thursday, despite an all-night protest by furious local farmers who fear she will eat their sheep. One female bear "in perfect health" was released Thursday morning, to be joined soon by a second, the environment ministry told AFP. "We saw the helicopter over Etsaut. It was hovering and let down a cage," said Olivier Maurin, a local sheep farmer and organiser of the anti-bear protest. The latest skirmish in the "bear war" comes as Environment Minister Francois de Rugy insisted the government would not back down in its bid to boost biodiversity by reintroducing bears to the area. Around 40 brown bears currently roam the range between France and Spain after France began importing them from Slovenia in 1996. The native population had been hunted to near-extinction. The government recently announced that two more Slovenian females would be released into the western Pyrenees, home to two males, in a bid to increase their numbers. Environmental activists say the bears are integral to preserving a fragile ecosystem, and are emblematic of a government plan announced in July to shore up biodiversity, which is under threat from human activity and climate change. 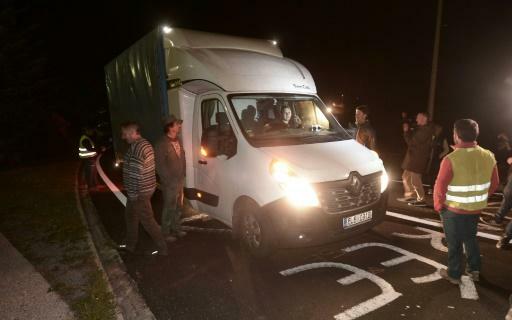 Standing behind bales of hay and tractors, protesters had spent the night manning roadblocks in a bid to stop them being trucked in, wielding their shepherding staffs. "It's war," said large letters daubed in white paint across the road. Maurin said the farmers would spread out through the woods making noise in a bid to scare the bears away from their sheep and other livestock. Speaking on France Info radio, de Rugy condemned "the unacceptable attitude" of those "who feel entitled to set up roadblocks and threaten me with guns". Jean-Pierre Chourrout-Pourtalet, the mayor of the small town of Sarrance who joined farmers at one of their roadblocks, pledged to run the bears off the land. "I have enacted a bylaw outlawing bears and wolves from within municipal borders and I am duty-bound to see the law enforced," he said. But not all locals oppose the bears. They "have always been here, we have always lived side by side. You never see them and it doesn't affect our lives," Elise Thebault, a sheep farmer from Etsaut, told AFP. The government compensates farmers for any livestock deaths from bear attacks, though that has failed to ease their ire. They point to an incident in July 2017 when more than 200 sheep died after running over a cliff while being chased by a bear. 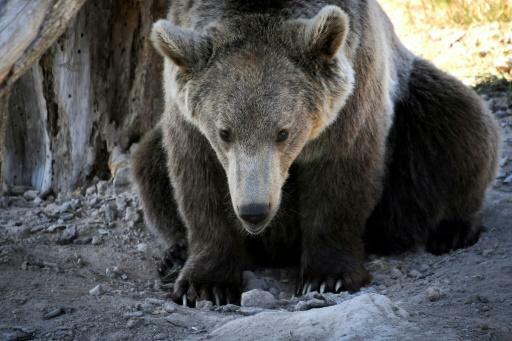 The Ariege stretch of the Pyrenees has seen a doubling of bear attacks over the last two years to more than 230 so far in 2018, a local farmers' union complained in August. Breeders in the area have lost at least 372 livestock so far this year, the union said.